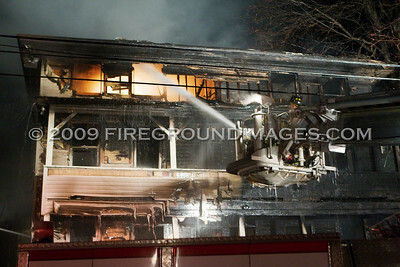 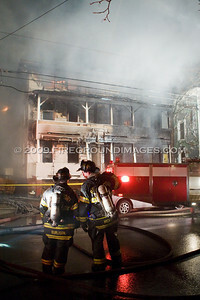 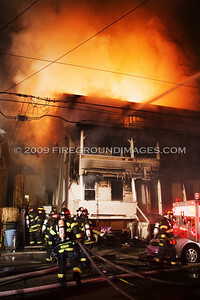 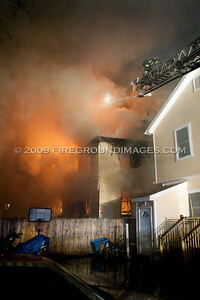 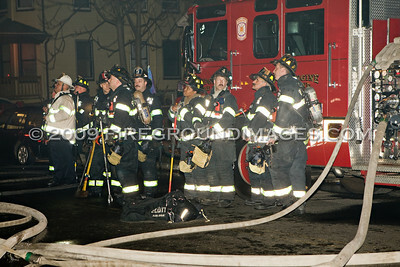 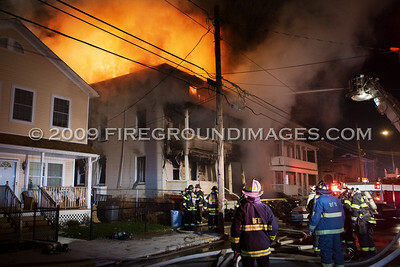 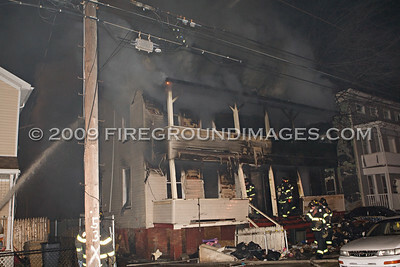 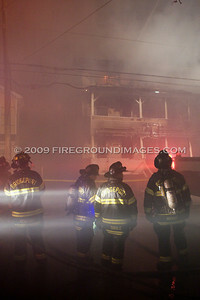 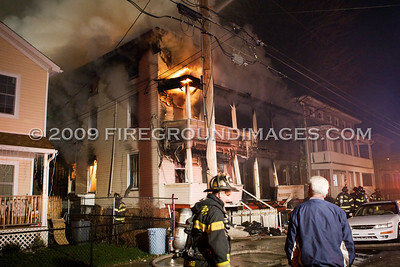 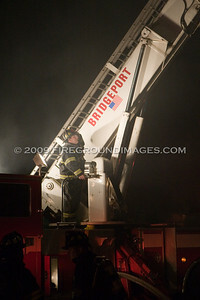 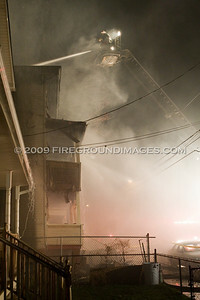 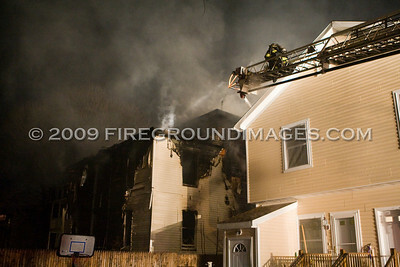 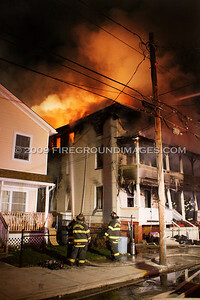 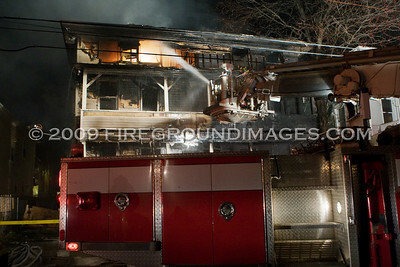 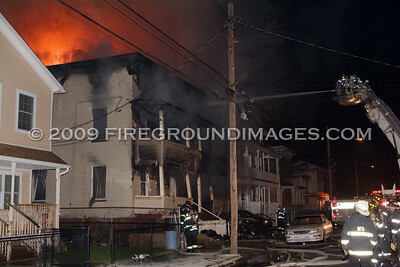 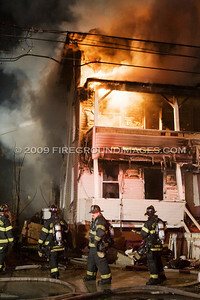 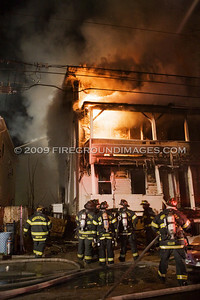 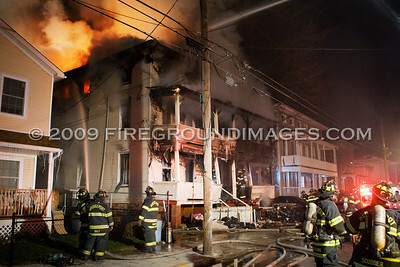 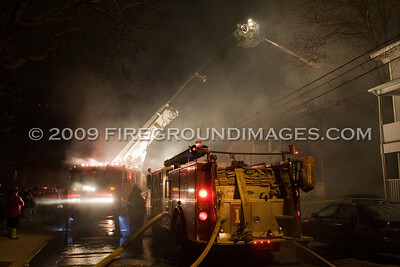 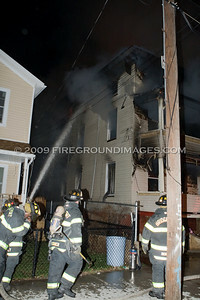 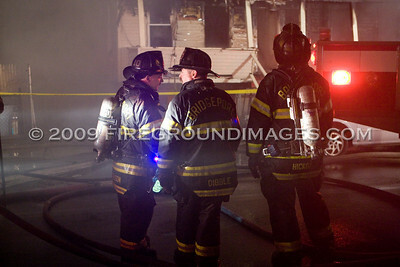 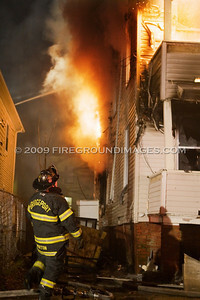 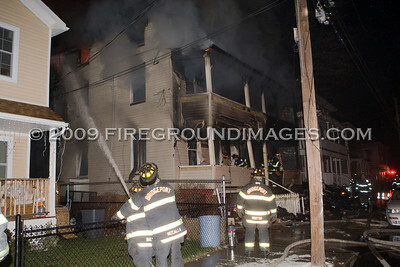 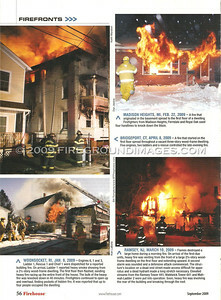 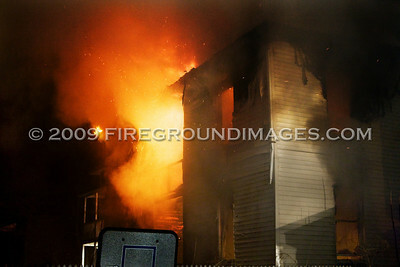 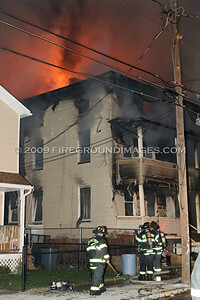 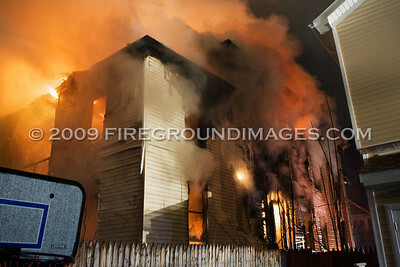 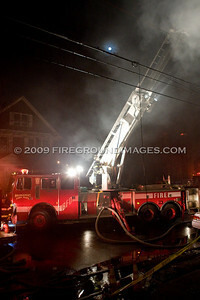 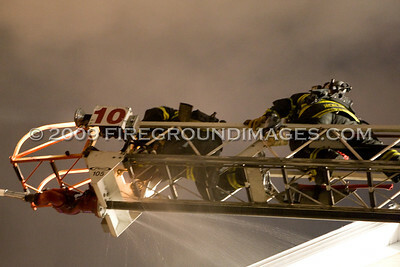 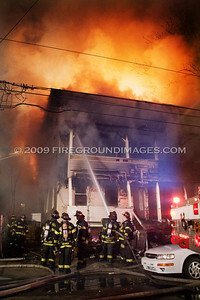 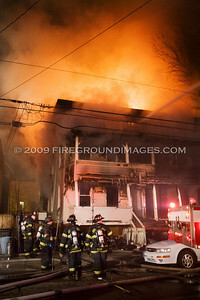 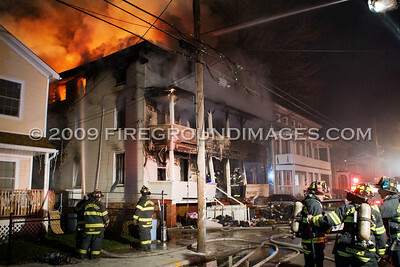 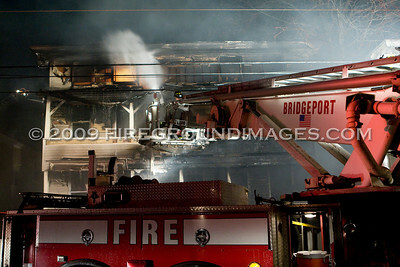 BRIDGEPORT, CT - At approximately 8:45pm April 8, 2009, the Bridgeport Fire Department was dispatched to Kossuth near Barnum for a vacant house fire. 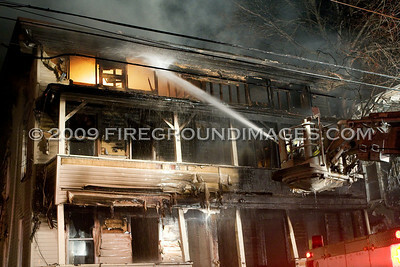 The fire appeared to have started on the first floor of the 3-story wood frame and soon took control of the entire structure. 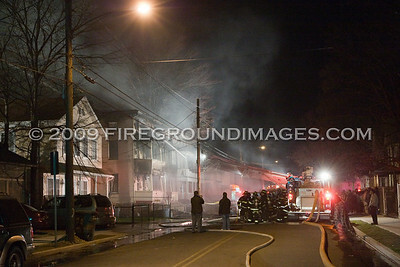 According to the Red Cross, three families that lived in one of exposures had to find emergency housing due to damage sustained from the fire as well as firefighting operations.